Rhoeo Spathacea, commonly referred to as Moses in the Cradle, Moses in the Boat, or Oyster Plant is a greenery favorite. 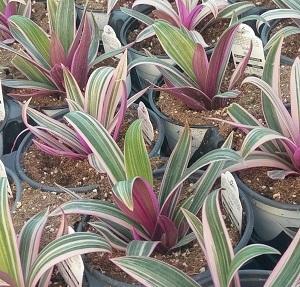 Rhoeo produces a tri-colored foliage of white, pink and green stripes on the top with purple on the under side. This tender perennial’s upright mounding growth habit, heat tolerance and vivid colors makes this a great choice for landscape and mixed containers! 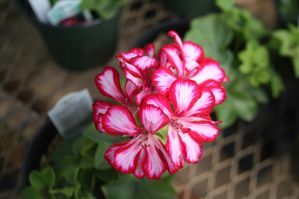 Its colors will come to life through early Spring, Summer and Fall, right up until the first frost while producing small white blooms all season. Rhoeo is desired most for its vivid foliage, rapid vigorous growth, heat tolerance, low maintenance, and upright mounding growth habit for landscape, beds, and containers. 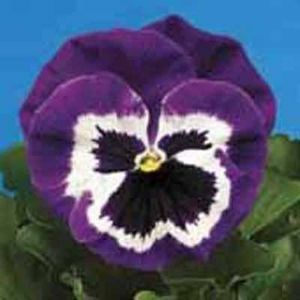 Rhoeo prefers partial to full sun and matures to about 12-15” tall and about 12-15” wide. 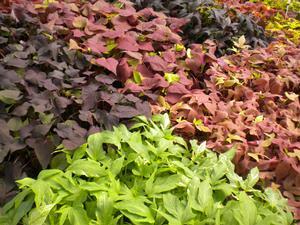 It grows best in moist, well drained soil. Rhoeo will need regular watering when it is first planted and establishing itself.